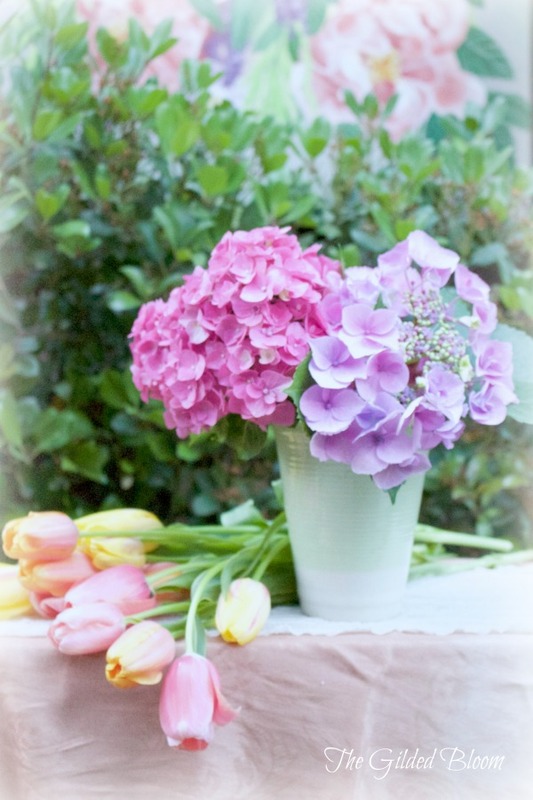 Creating a spring garden floral arrangement using a mixture of homegrown and market flowers is a simple, inexpensive way to bring the spirit of the season into your home. It is also a delight to share the beauty of the garden with those that you care about. After all, who doesn't love to receive flowers? 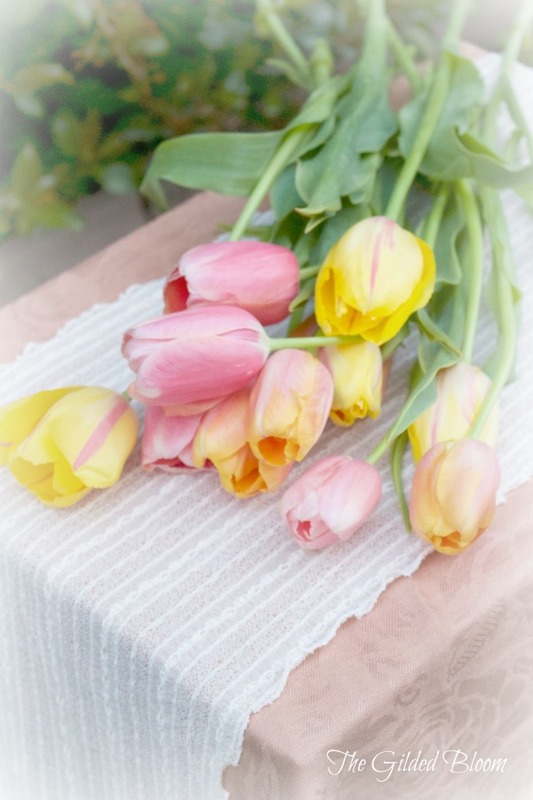 After discovering a beautiful bunch of tulips and snapdragons at the market, I styled these arrangements using filler flowers from our garden to create texture. 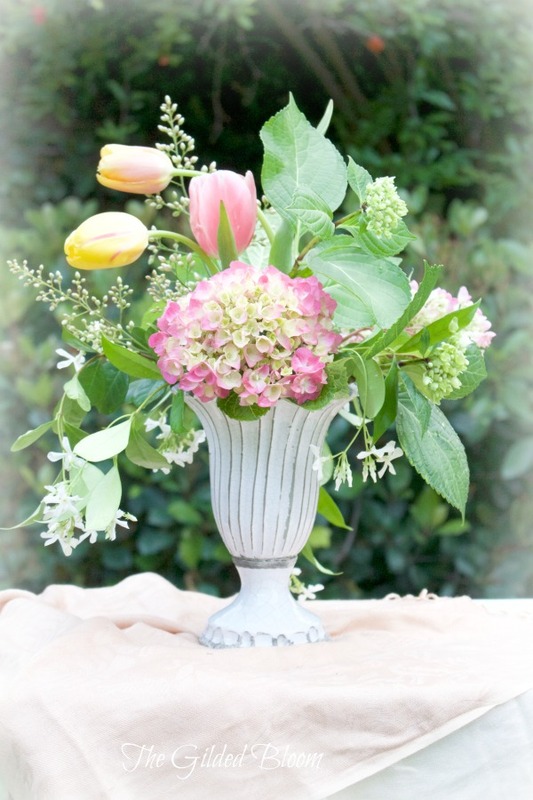 This pedestal vase holds budding hydrangeas and some tulips for color and gesture. The sprigs of star jasmine draping over the edges add a sweet intoxicating scent to the design. Freshly cut purple and pink hydrangeas were placed in a porcelain pot for an uncomplicated arrangement that emphasizes the broad blooms. The height of this tall cylindrical pitcher is accentuated by stalky snapdragons and hydrangea buds. Soft purple and pink cottage garden flowers paired with spring green buds and foliage reflect the shabby chic style of the container. 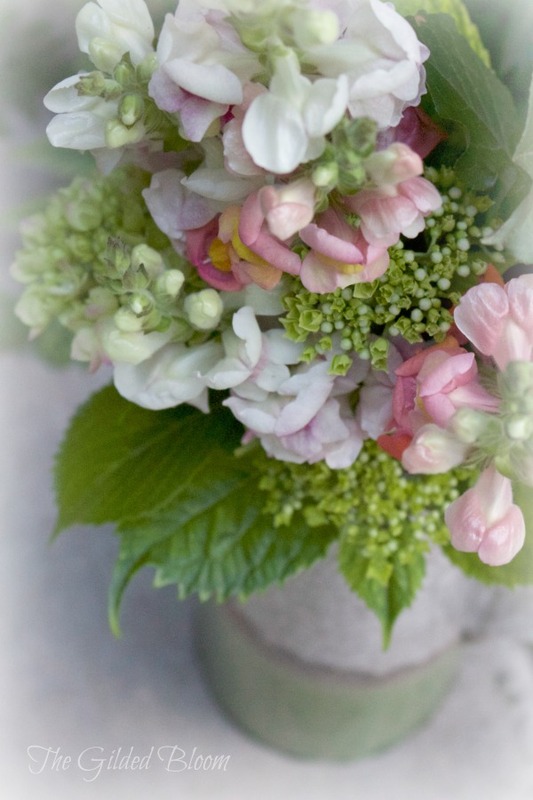 There are so many ways to combine and design flowers into lovely arrangements using just a few purchased stems with homegrown accents and foliage. 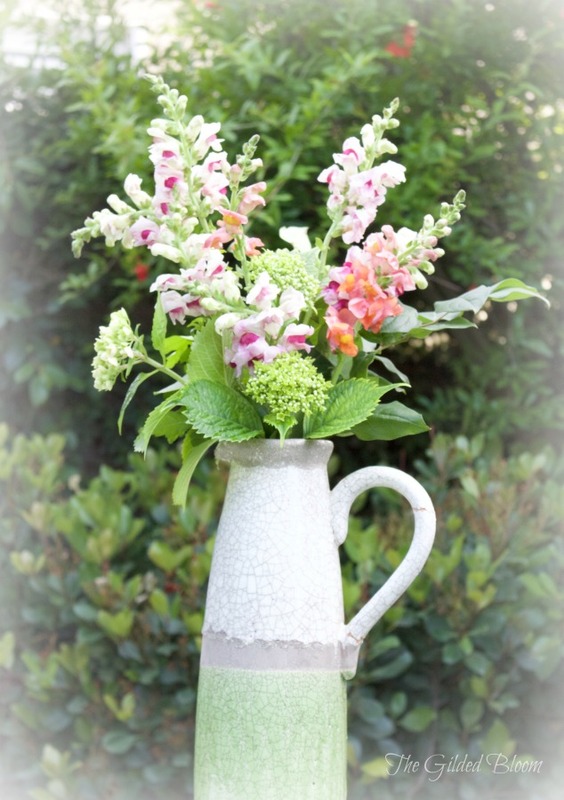 This is an easy and beautiful way to turn a store-bought bouquet into a unique and decorative design.